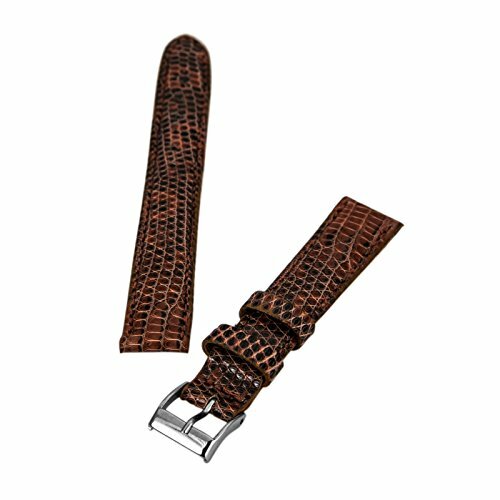 This 16 mm wide Brentwood watch strap is made of genuine Havana lizard grain leather. This beautiful watch band width is 14 mm. It has light padding and measures 3 mm thick. Length dimensions below do not include the buckle. Add the length of your watch to ensure that this strap would fit your wrist. Image for illustration purposes. Please choose your buckle color. Unless otherwise noted, this strap does not come with spring bars.